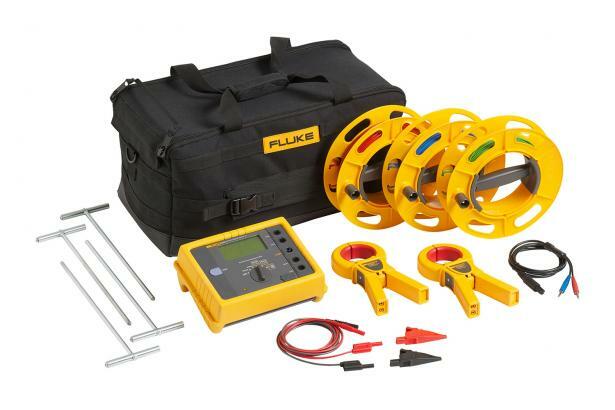 The Fluke 1623-2 earth ground tester is able to measure earth ground loop resistances using only clamps. With this test method, two clamps are placed around the earth ground rod and each are connected to the tester. No earth ground stakes are used at all. 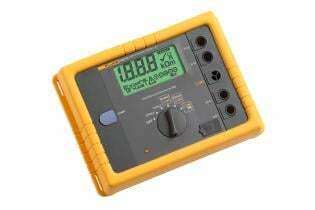 A known, fixed voltage is induced by one clamp and the current is measured using the second clamp. Then the tester automatically determines the resistance of the earth ground rod. This test method only works if a bonded earth ground system exists for the building or structure under test, but most are. If there is only one path to ground, like at many residential applications, the Stakeless method will not provide an acceptable value and the Fall-of-Potential test method must be used. With Stakeless testing, the earth ground rod does not need to be disconnected - leaving the bonded earth ground system intact during test. Gone are the days of spending time placing and connecting stakes for each earth ground rod on your system - a major time saver. 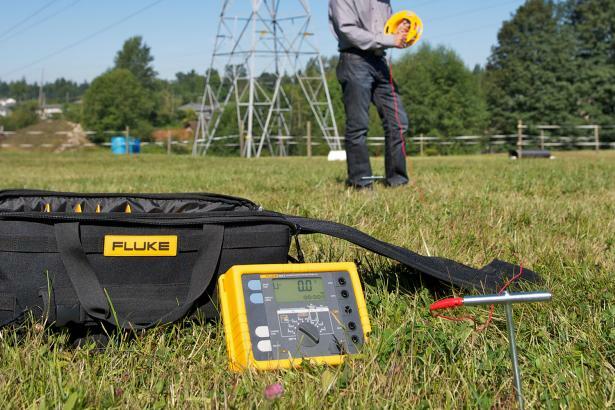 You can also perform earth ground tests in places you’ve not considered before: inside buildings, power pylons, or anywhere you don’t have access to soil. 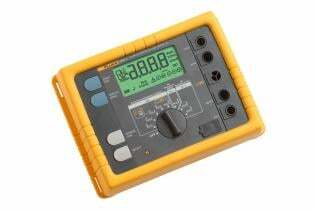 The Fluke 1623-2 is a unique earth ground tester that can perform all four types of earth ground measurement. The Fluke 1623-2 GEO Earth Ground Tester offers data storage and download capabilities via USB port. World class accessories will simplify and speed up testing time. Monitoring of RS and RH with error indicator. Measurement is not performed if the current through the current clamp is too low. 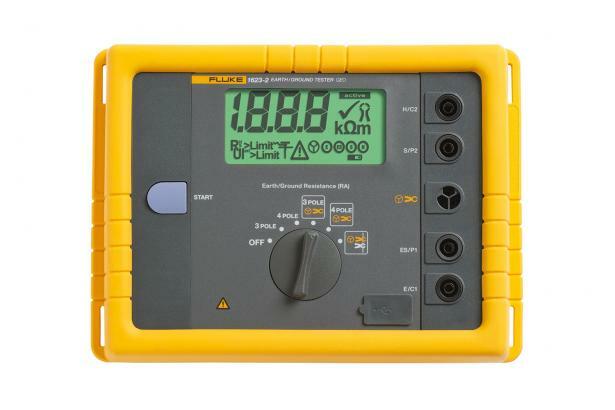 The Fluke 1623-2 and 1625-2 GEO Earth Ground Testers offer data storage and download capabilities via USB port. World class accessories will simplify and speed up testing time.